“For the very reason that in material well-being we have thus abounded, we owe it to the Almighty to show equal progress in moral and spiritual things. With a nation, as with the individuals who make up a nation, material well-being is an indispensable foundation. But the foundation avails nothing by itself. That life is wasted, and worse than wasted, which is spent in piling, heap upon heap, those things which minister merely to the pleasure of the body and to the power that rests only on wealth. Upon material well-being as a foundation must be raised the structure of the lofty life of the spirit, if this Nation is properly to fulfill its great mission and to accomplish all that we so ardently hope and desire. The things of the body are good; the things of the intellect better; the best of all are the things of the soul; for, in the nation as in the individual, in the long run it is character that counts. Let us, therefore, as a people set our faces resolutely against evil, and with broad charity, with kindliness and good-will toward all men, but with unflinching determination to smite down wrong, strive with all the strength that is given us for righteousness in public and in private life. The good news is Billary Inc. lost. The bad news is Trump Inc. won. As George Will has written the 2016 election turned out with a “loser who deserved to lose and a winner who did not deserve to win.” I guess it wasn’t so rigged as Donald thought. Now we’re expected to let bygones be bygones, sing “Kum ba Yah,” have a group hug and jump in line & goose step with Boss Trump. Losing the popular vote with 60,350,241 to 60,981,118 does not a mandate make. I’m a 50+ year old White male, with 1 wife, 2 cats, 3 kids and 4 guns. Theologically, doctrinally, ecclessiastically I am “evangelical” (euanggelion – good news). But faced with 2 equally miserable choices, candidates who were both morally-challenged, ethically-challenged, and character-challenged, I voted for neither one. There’s little difference between going off a cliff at 35 MPH or 135 MPH except the speed of your own demise. I refused to support either party that has led us to this kakistocracy. Evangelical supporters say Donald has changed. I’m looking for proof. Genuine change is made up of genuine repentance, contrition and restitution, none of which have been evident in Donald’s behavior or statements since winning. Moral character used to matter to evangelicals – I guess that’s optional now if it’s an election year! I’m still waiting for his tax returns. I’m waiting for him to apologize to John McCain & the Khan family. I’m waiting for him to ‘fess up about his assault of women. Guess I’ll be waiting a long time. What would happen if voters for the defeated party acted like Republicans did when they lost to President Obama? Like John Boehner, offering his plans for the President’s agenda: “We’re going to do everything — and I mean everything we can do — to kill it, stop it, slow it down, whatever we can.” Or the Trumpster himself who called the 2012 election a “total sham and a travesty…. We are not a democracy!” Or like countless bloggers since 2008 have suggested the president’s assassination by putting his face on targets, threatened divine punishment or prayed for his demise and death? But that would be unseemly. The Donald has made some big promises. I doubt Trump will be the savior people expect him to be.If he doesn’t follow through those that voted for him may turn on him quickly and viciously. I wonder if Donald will survive 4 years without impeachment – it will be due either to his propensity for outrageous behavior, trying to run the executive office like “The Apprentice” instead of as the executive leader of a nation or worse – his thin-skin and low tolerance for critics and opposition point to darker authoritarian possibilities. I hope I’m wrong . I will pray for our nation. I will pray he genuinely experiences converting grace that is abundant in the fruit of repentance. I pray the damage from this fiasco will be minimal. and of course Giovanni Mazzarella & Francesco D’Allessandro with out whom yours truly would not be here today. I’m new to these parts but was able to find these local men who are worth remembering on Memorial Day. 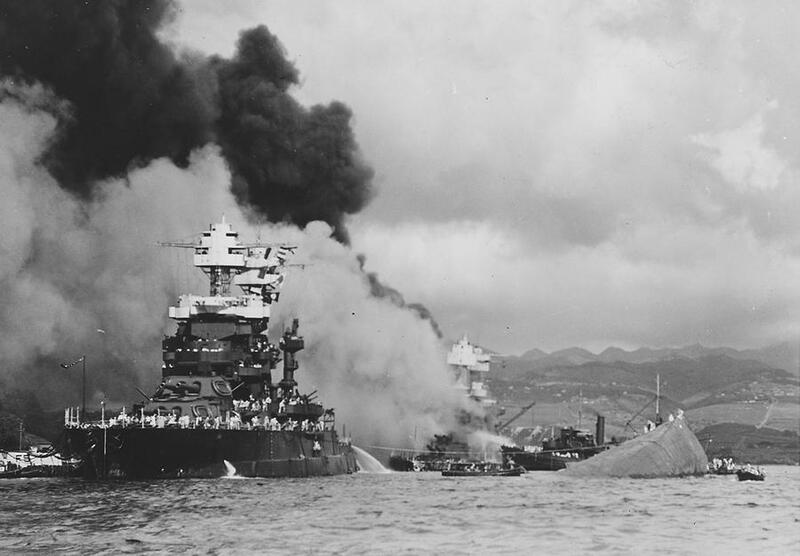 Today we recall the Japanese surprise attack on Pearl Harbor & the many who died both civilian and military. Over the years I have talked with men who were 17 or 18 at the time of the attack and their first response was to go sign up and volunteer to serve. A different time. A different generation. A different enemy. And certainly a different president who was unashamed to protect his country nor willing to be an apologist for the enemy. Politicians want us to feel safe. Our society thinks it will be safe if there are more laws & more government surveillance and intrusion. Some even think the Bill of Rights is an obstacle to safety. The current Attorney General seems more concerned about curtailing free speech than prosecuting terrorists. The current regime seems ready to impose its will on any who disagree with its definitions of truth, morality or justice with the full power and sanction of the state. However, our society rejects the source of true law, the divine word, and delights in violating the divine order which brings life. It refuses the divine governance which brings peace – the kingdom of God. Despite the official reassurances of its spokesman that all is well, that we are safe, these efforts apart from alignment with God’s design are doomed to fail. The stink of panic is in the air. It’s “last call” for this cultural Titanic. It’s been weighed in the balance of divine judgement and found wanting. I agree – God isn’t fixing this – our way. What God has done through his son Jesus Christ is to “reconcile to himself all things, whether things on earth or things in heaven, by making peace through his blood, shed on the cross” (Col. 1:20). 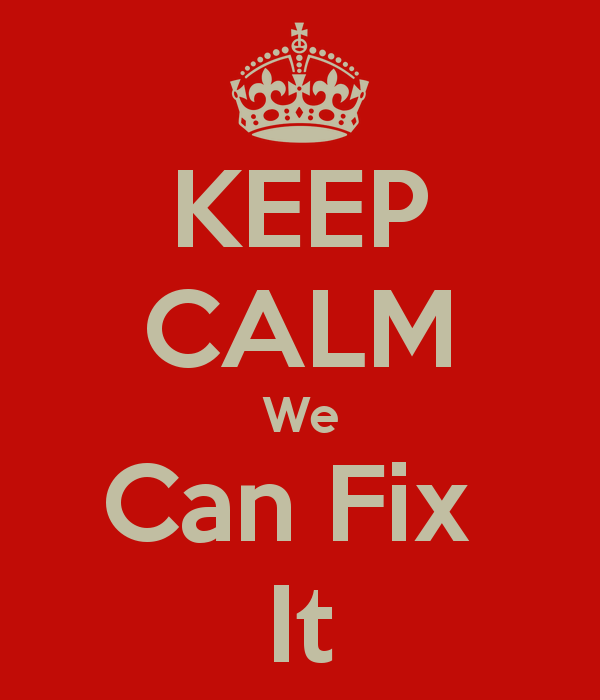 It is not that God is unable or unwilling to fix things. To the extent that society and even the church continues to reject the gospel the situation will not remain the same but will get worse. There is only one source of peace. It is not found in any of the current proposals offered to fix things. It is through the child born for us, the son given, who is the Prince of Peace. “Of the greatness of his government and peace there will be no end” (Isaiah 9:6-7).